Quality, professionalism, affordable pricing and excellent customer service is our philosophy at A-All Service Garage Doors. Our commitment ensures a quick response, courteous technicians and an emphasis on garage door safety when servicing your garage door. If your garage door is moving much slower than normal, or won't move at all, it could be because of a broken garage door spring. Customers particularly value the emphasis on work quality and expertise in fixing springs and silencing garage doors. Our trained tecnicians are dispatched to your location to provide with a free estimate, which could be a wireless keypad, replacement spring, general safety issues or a new garage door. Emergency, out-of-area travel and after-hours service calls subject to a service charge. 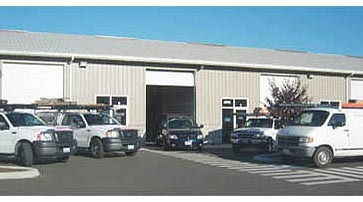 A-All Service Garage Doors is a licened, bonded and insured family-owned business, operating locally since 1982. Friendly, no-pressure field technicians will provide a free on-site estimate for repairs, new garage door installations, safety checks, or general maintenance for Lacey garage door repairs and Olympia garage door services. Call us for full details regarding this free quote, as restrictions may apply with emergency or off-hours quotes. Under the company banner of ASGD, LLC, division company A-All Service Garage Doors continues to adhere to the Golden Rule regarding customer service excellence. And we've been performing service solutions for over three decades with our family-owned-and-operated garage door company. Field technicians are highly trained in garage door installation, service and repairs, ready to meet your expectations. That's because we stand behind our work. Our high customer satisfaction rate proves our full commitment to you with our performance promise. The infamous two-inch gap indicates that your garage door spring is broken. When a torsion spring is wound it elongates about two inches. As the end of the spring is fastened on the shaft, a two-inch gap will occur if the spring breaks. This is visible way of knowing if you have a broken garage door spring. 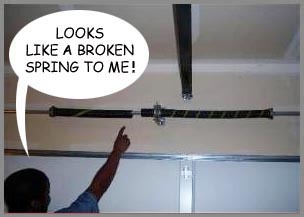 For Olympia or Lacey garage door spring repair, call 360-388-4112. We highly recommend replacing both torsion springs at the same time. Each spring only has a certain number of open-close cycles. If the second spring is not replaced, it is common to see the older spring break shortly after the first spring replacement. Replacement toursion springs must be wound tightly using special tools. Considering your safety, leave the technical and mechanical specialties to our trained technicians. And don't wait. Attempting to raise and lower your malfunctioning garage door might worsen the problem. Call 360-388-4112 today. On-the-job work is offered at a reasonable price, backed by our no-nonsense guarantee. Discount coupons are available to help you save. No matter if your garage door is off track, the opener is too loud, the springs are broken, or you just want to upgrade to a better, more secure door, we'll arrive with the right equipment, parts and attitude for your job. Call now to schedule a free quote for your garage door issue. We'll do our best to identify your problem over the phone, followed by an appointoment to your location by the next available technician (after hours, out of area and emergency quotes may require a fee). © ASGD, LLC. All Rights Reserved.